Pittsburgh Mayor William Peduto is one of more than 330 mayors from across the United States who has pledged to continue to align their city with the goals of the Paris Agreement, despite the federal government’s announcement to back out. In advance of the mayor’s reveal of the Pittsburgh Climate Action Plan, the Penn State Center Pittsburgh will host a screening of the WPSU Penn State documentary “Managing Risk in a Changing Climate” and a panel discussion featuring climate experts and Pittsburgh stakeholders from 5:30 to 7:30 p.m. on Thursday, July 13, at the Energy Innovation Center, located at 1435 Bedford Avenue. Pittsburgh, once known as the “smoky city,” has been on the frontline of environmental protection legislation since the 1940s — when it first established smoke control ordinances and clean air legislation to combat smog created from the steel and coal industries. The city has renewed itself from being one that was built on industry, to a city thriving on green infrastructure and business revitalization. Grant Ervin, chief resilience officer for the city of Pittsburgh, said it is critical for the city to continue its efforts to combat climate change. 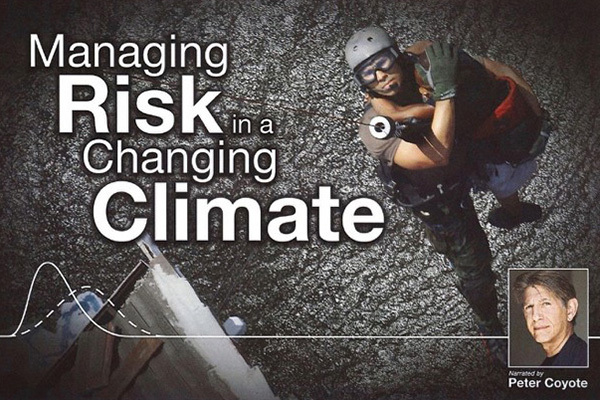 The WPSU documentary “Managing Risk in a Changing Climate” outlines academic disciplines needed to address the worldwide economic, social and environmental impact of a changing climate through examination of the effects already seen in Louisiana. Kristian Berg, producer for WPSU, said it has become a model for areas facing risks driven by changing sea levels and storms. The screening of the documentary is open to the public, but seats are limited, and those interested in attending are asked to RSVP online. A panel discussion moderated by Paul Shrivastava, chief sustainability officer and director of the Penn State Sustainability Institute, will follow the presentation. The panel will include Ervin along with Tom Maier, biologist for the U.S. Army Corps of Engineers, Pittsburgh district; Rob Nicholas, managing director of the Network for Sustainable Climate Risk Management; Chris Forest, professor of climate dynamics at Penn State; and Michele Halsell, director of the Sustainable Communities Collaborative, Penn State Sustainability Institute.